Designed and manufactured in Portland, the creators of the Grove iPad 2 case have developed a new model for the launch of Apple’s third-generation iPad. 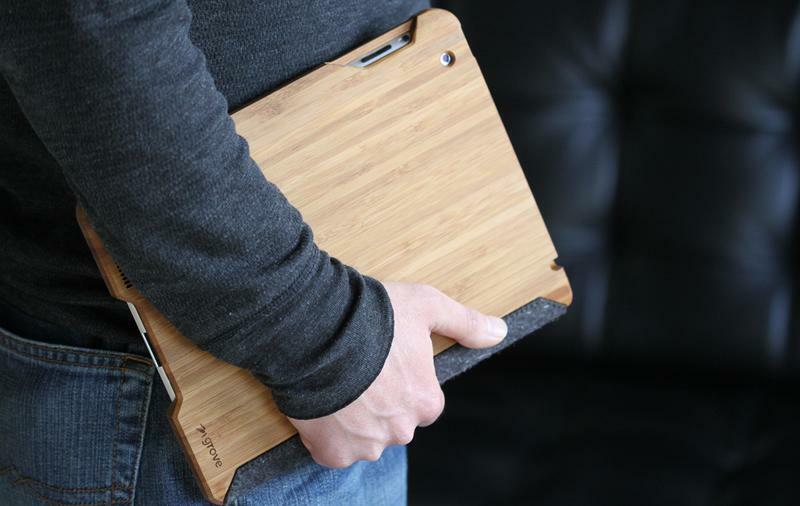 The case for the new iPad offers a hard bamboo shell lined with suede to protect the tablet in addition to keeping the shiny black fingerprint magnet free of blemishes or smudges. The Moso bamboo, also used for bamboo flooring, is coated with a natural citrus oil which has been combined with a mild wax. In order to function correctly with the iPad camera, ports and speaker, portions of the case include openings for the rear camera in addition to slots over the speaker to simulate a grill design. Anyone interested in the custom designs on Grove’s site will have to purchase the leather version though. Similar to the previous design, the front cover uses magnets to wake up the iPad in addition to putting it to sleep. The cover can act as an impromptu stand for the iPad or wrap around the back of the case. Both the standard wool and leather versions of the third-generation iPad case are priced at $139.99 and Grove is currently projecting that the case will ship within six to ten weeks. Versions of the case with the custom design etched on the front cover range from $149.99 to $179.99 and take between six to twelve weeks to ship. 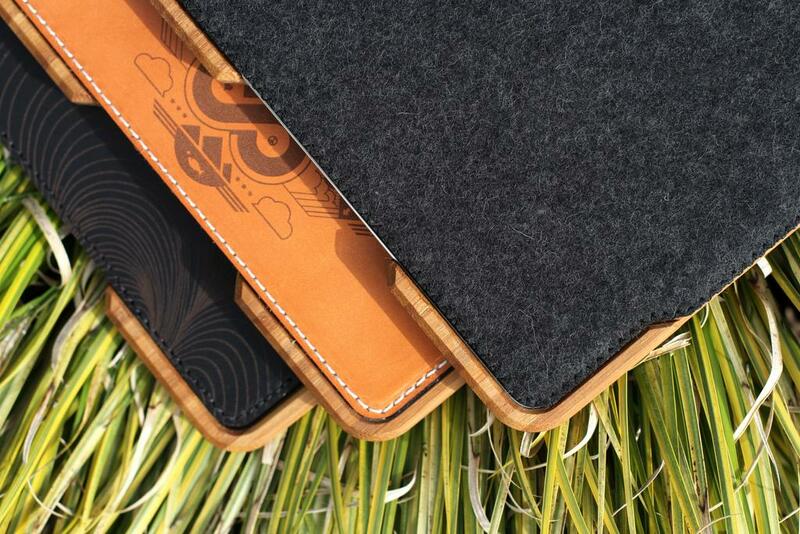 However, Grove is running a special through the month of March that discounts all orders of the new iPad case by $20.